To me writing what you know is key to completing the novel. Yet everyone knows just because you completed a novel does not mean it will be great. To write a truly phenomenal novel, you should care deeply about what you are writing. 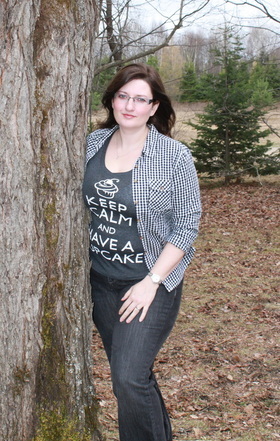 Jocelyn Adams, author of The Glass Man and Crossing Hathaway, talks about being a paranormal and contemporary romance author, genres she chose for love instead of money. The Glass Man, a paranormal romance, was released in October of last year. Crossing Hathaway, a contemporary romance, will be released August 6, 2012. She talks about both of these novels below, while also providing a unique, but welcomed perspective to editing and outlining. This author does not outline, she watches the ideas of her novel unfold like movies in her head. For all you non-outliners out there, you have the chance to make a new friend. After you check out The Glass Man and Crossing Hathaway, connect with the author through social media. 1. Can you tell us about your novel The Glass Man and Crossing Hathaway? Why did you choose to write Romance and Fantasy? Thanks so much for having me today! Hmm, yes, The Glass Man. My very first published novel, my baby. It came from a dream of a man with ice blue eyes. The next day, in my twisted little mind, my villain was born, and the rest of the story exploded around him. This is a trilogy opener about a woman, Lila Gray, who is trying to survive in a dystopian world after The Glass Man murdered her family. They sacrificed their lives to run interference when he first came for Lila at the age of thirteen. She doesn’t know what she is or why he’s hunting her, so the reader learns about Lila and her situation as she, herself, does. Crossing Hathaway isn’t my typical genre of book. I wrote it on a lark a few years ago just to see if I could write contemporary romance, and I’m just now contemplating submitting it to publishers under my other persona, who writes mainly erotica, to keep it separate from my UF & PNR works. Crossing Hathaway is steeped with humor, and is about an I.T. girl, Evangeline Ross, who’s sworn off men. She comes up against the big cheese of her company, Ben Hathaway, who is reclusive, charming and gorgeous, and doesn’t usually allow women into his office. Let the sparks of sexual tension fly! Romance, specifically paranormal romance, and urban fantasy are what I love to read, so naturally it’s what I write best. I’ve tried writing other genres, but my lack of interest bled through into the writing and it just didn’t work. I have three full novels in my laptop that nobody will ever read. Learning tools is what they were, a rite of passage of the author I was becoming. 2. Can you describe your writing process? How long does it take you to finish a novel? My writing process is pretty simple, actually. I don’t outline anything. Ever. Well, except in the case of the Muskoka Novel Marathon, in which I participated in last year (write a novel in 3 days – satisfying but totally exhausting). Normally an idea pops into my head and I let it stew there for a while. At night, when the house is quiet just before I go to sleep, my mind starts chewing over scene possibilities and general story arc, like movies in my head. The next day I write the scene(s). The following night I contemplate the next step in the path along the story, and so the pattern continues. I let it drive me, take me wherever it wants to go even if it doesn’t make sense to me at first. In the end, it always comes back together somehow. The first draft is always a bare skeleton with very little description and detail. During the editing process, I flesh it out with color and texture, add quirks to my characters, furniture to rooms and such. I know most authors cut tons during editing, but I usually add 5-10,000 words during the process. I finished the first draft of The Glass Man in just under six weeks, and Crossing Hathaway wasn’t much longer. The first draft of book one of my new Ironhill Jinn series, Stone Chameleon, I wrote in seventeen days. Sometimes the story just comes bursting out so fast I can hardly get my fingers moving quickly enough to capture it all. It’s awesome. I usually do several passes of editing. The first pass, the rough pass, is where I tidy up story holes, stuff that doesn’t work for one reason or another, details that don’t mesh, etc. The second pass is where I look at sentence structure to make sure it’s varied enough, while adding in description and personality to everything along the way. The third pass is for punctuation, spelling and flow from sentence to sentence, scene to scene, and chapter to chapter, as well as ensuring I have character reactions everywhere they’re needed. I tend to follow the scene and sequel method of writing scenes as much as possible. (goal, crisis, disaster, emotion, thought, decision, action). Not all elements are in every scene, but the ones that are I try to make sure appear in the proper order. The final pass I read on my Kindle, looking for the last few straggling errors. I was shocked at what a great tool that is, at what I found on the Kindle that I didn’t see while reading on my computer. Then the story goes to my beta readers (who are made of awesome, by the way!). Once I receive their feedback, I make the story changes and start the editing process over again. 4. If you could share one tip you learned with self-published authors who share the same dream of being a successful author what would it be? Hmm, I think I’d have to say don’t be seduced into writing what’s currently hot for the market. If you aren’t enjoying the story you’re writing, nobody else will, either. You need to feel it in your bones, in your heart and soul. Let your enthusiasm spill into the words, and it won’t matter what genre it is, others will enjoy reading it, and word will spread. If you’re in it for the money, chances are you’re not going to go very far in the industry. You need to be writing because you love it. If you end up getting paid, great, it’s gravy on the top. Perseverance is the key. You’ll get rejected. A lot. It’s the nature of the beast. Let it thicken your skin. Sub out some short stories to begin building a resume and your confidence. Start a blog and develop an author “brand” that suits you and the genre you write. These are all building blocks that can lead up to publishing a novel. Good luck to you all! 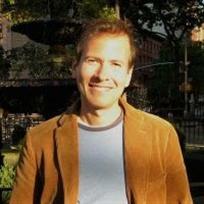 Please feel free to ask me anything, just stop by my author blog for my contact details. I’ve also started a book review & author feature site, http://www.booksandeatsbistro.wordpress.com for anyone who would like their book reviewed (PNR or UF only) or to have a stop for their book release blog tours. 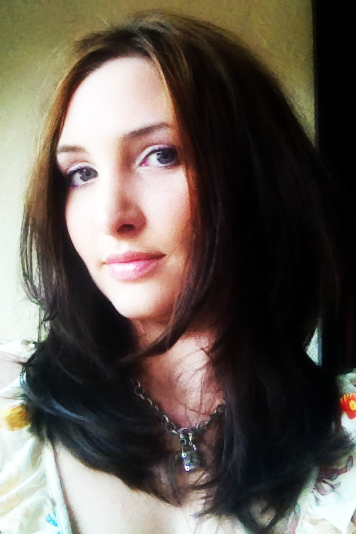 Editing was very essential for Rebecca Hamilton during the final stages of writing The Forever Girl. I got the sense from corresponding with her she felt that it was not raw talent that got her noticed by an agent, but the willingness to dive in her pages over and over again. Though her answers below are brief, Hamilton reveals a lot of her editing secrets. Can you tell us about The Forever Girl Series? Why did you choose to write this series? Initially I intended a stand alone book. As I wrote, one of the characters took over. By the time I finished the first book, it had become a trilogy. While editing, more ideas and depth to the story emerged. The trilogy turned into a series of 7 novels. How long did it take you to write The Forever Girl Volume One? Can you talk about your writing process? The first volume took me about 4 years from start to finish. I get the story down quickly (it took me two months). Then I had to rewrite and rewrite and rewrite. I had to rewrite a lot because this was my first book. Then I had to revise and edit and proofread. It was more work than it sounds like, and I couldn’t have done it without the support of my beta readers, critique partners, and editors. Any editing tips? Make a list. I have a list for rewrites that are specific to each story. I make this list after the read through in order to base it off of feedback from my beta reader. I also have a list of revision techniques I’ve picked up in books and articles I’ve read. The list keeps me focused. I recommend it to anyone who finds the process of editing overwhelming. If you could share one tip you learned with self-published authors who share the same dream of being a successful author what would it be? I’d recommend a few books that I think helped me most: Deepening Fiction and The Fire in Fiction. Those two books made the biggest difference in my writing and my understanding of the writing craft. 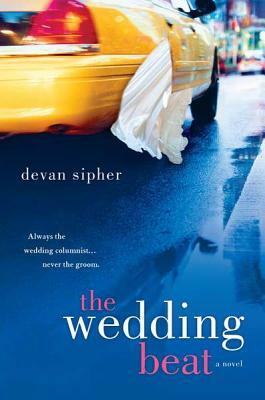 When Devan Sipher, author of The Wedding Beat, began writing his story, he knew it was all or nothing. He wrote 12 to 15 hours a day, six days a week for a year and a half. While writing, he made sure to make every page a page turner. I read the book and I think Sipher succeeded. In the short-but-sweet glimpse into his writing process, Sipher shares his number one tip to writing a novel that landed him attention from a big six publishing house. For five years I was a single guy writing the Vows wedding column at The New York Times. It occurred to me that my life would seem somewhat amusing (if I wasn’t living it). Then the movie 27 Dresses came out, with a male romantic lead who seemed to write the column I wrote at the newspaper I worked for, and I figured if someone was going to steal my life, it should be me. I wrote the book in a year over a year and a half, six days a week 12 to 15 hours a day. You could say I was driven. I had never written a novel before (or anything as long), and I was so intimidated by the prospect I felt I needed to do it full steam ahead or I might be tempted to give up. Any editing tips you used to help you get to the final draft? On every page ask: What does the character want? How badly do they want it? Why do they want it now? What’s stopping them from getting it? On every page. If you could share one tip you learned with self-publishers who share the dream of one day being published, what would it be? Be ruthless with yourself about your writing, and try to find a writing group of kind and smart people – and preferably sane. But kind and smart are more important. Below Geragotelis gives us a glimpse into what it took for her to write her own success. Uncertain why that is so awesome? Check out: Turning no’s into green yes’. Though it is just a snap shot, connect with her on social media. The links are provided below. If you are a self-published author looking to be published with a big six, you will be motivated to follow down her path. 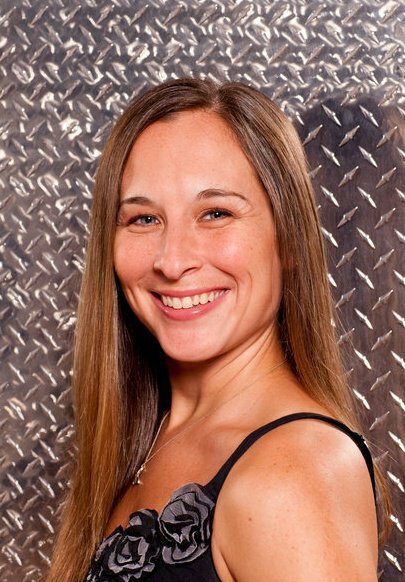 Brittany Geragotelis is the successful author of: What the Spell?, being released in three e-installments in October before finally being released in hardback January 1, 2013; Life’s a Witch will be released mid-next year just before the sequel being released January 1, 2014. It will be an exciting New Year’s Day in 2013 and 2014 for everyone. Mark your calenders. When is the release date for your novel Life’s A Witch? We’re publishing the prequel/spin-off called What the Spell? in 3 e-installments starting in October, and then in hardback and the full e-book on January 1, 2013! 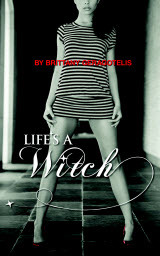 Life’s a Witch will be published mid-next year, and then the sequel will be published January 1, 2014. Why did you choose to write this book? How long did it take you to write it? When I was considering publishing something on Wattpad, I took a look at what kids seemed to be reading on the website. It turned out to be a lot of Paranormal Romance, so I thought about what I might want to write. I think a lot of people are intrigued by the Salem Witch Trials and I started thinking about what it would have been like if those accused really were witches. And what if the accusers were from the same coven? The story just formed from there! As for a timeline, when I was writing Life’s a Witch, I had a day job (I was an editor at a magazine), and so I was writing for an hour every night (between 11PM and 1AM). So, with this limited time to write, it took me about 6 months. However, I only had 6 weeks to write the prequel, What the Spell?, which I just turned into my editor last week! Any editing tips? Don’t edit as you go. If you start nit-picking while you’re writing, you’ll never get the book written. When you’re done give yourself some time away from the book. A week, two, sometimes I like to take a month off. It’ll let you be more clear-headed when it comes time to edit it. Then, have an editor look it over. Not only will they catch all the spelling and grammar errors you’ve made, but if you’re like me, they’ll find all of the inconsistencies we can get while writing. If you could share one tip you learned with self-publishers who share the same dream, what would it be? Don’t ever let someone break your dream. I went through 10 years of rejection. I had some close calls, but a bunch of set-backs, to the point where I almost gave up on writing completely. Luckily I didn’t, because look what happened! Be willing to look at things differently. I used to think that getting published had to look a certain way–get an agent, get a publisher, become a famous author–but as soon as I opened my mind to the idea that there may be other ways of achieving success, things just started to happen. And lastly…say yes to opportunities that come your way. I was wary of putting my stuff for free on Wattpad, but ultimately I said yes to what they were offering. It’s because of this, I got 18 million reads of my book, which ultimately led to me getting my book deal.